This falls into the "anything else that strikes me as interesting to write about" category; most of my readers will not be interested. Conversely, if you found this site Googling for this problem, the rest of my blog may not interest you. It's about installing Ubuntu on a Dell Inspiron 5100 laptop and the known issue with installing Broadcom wireless adapters in Ubuntu. My particular wireless adapter is the BCM4306 14e4:4320 one, which information I got running some command I don't recall anymore. Yesterday, I had installed and uninstalled Ubuntu a bunch of times, spending over 12 hours in one day, due to problems getting my wireless adapter to work. I tried the standard things such as running Software Up to Date and Additional Drivers, which never completed properly, leaving lock files about that prevented me running apt-get without deleting the lock files, this process always leading to a path that involved a Sementaiton Fault and an eventual unusable system that I would then uninstall and reinstall again. 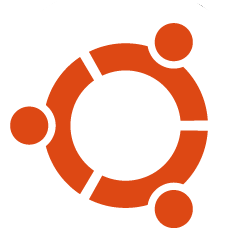 I began writing a document to explain my problems in order to ask for help from the Ask Ubuntu forums. At the time I began writing it, I didn't have even ethernet working anymore and Ubuntu would not shut down as I'd again segfaulted my way to a mess. As I went through a step-by-step procedure, in a slightly different order than previously, intending to document the issue on my way to a new crash, I accidentally got the thing working properly! I've installed Ubuntu 12.04.3 via Wubi on an inherited Inspiron 5100 running XP Home and am having issues trying to get the wireless adapter working. At the moment, I don't even have ethernet working and Ubuntu won't shut down. So I am repeating everything I did yesterday so I can document it for this question (I spent the entire day yesterday going through this repeatedly in various orders, so one more time). I rebooted into XP and logged in to run uninstall-wubi; then ran the Wubi setup wizard, rebooted, and let installation proceed, then a hard reboot again once it finshed. There is a brief message during boot that tells me to go to linuxwireless.org/en/users/Drivers/b43#devicefirmware (one has to reboot about 6 times to actually read this URL as it goes by fast). It builds a dependency tree, then gives me a bunch of information and asks do I want to continue and I say Y. An unsupported BCM4301, BCM4306, BCM4306/2 device was found. Use b43legacy firmware (firmware-b43legacy-installed package) instead. Once back at the prompt, it seemed prudent to reboot, so I did. Once rebooted, OHMIGOD I AM FREAKING CONNECTED TO THE WIRELESS ROUTER - IT'S FIXED? I decided I didn't need to post that to the Ubuntu community asking for help after all; however, I am posting it here so when someone is frantically Googling as I was yesterday, they will find it. Previously, every time I ran sudo apt-get install firmware-b43legacy-installer the terminal said depmod....... and after some number of periods, I got the sementation fault, sometimes followed by a black screen of hex codes, sometimes just jamming there and unable to reboot without powering off. So the very fact that it installed and let me reboot was HUGE. And then everything worked! My understanding at this juncture is this firmware install must be done before running Indicators -> Software Up to Date or System Settings -> Additional Drivers which will not complete without the firmware update first, thus causing the lock files. Removing the locks seems to do something-or-other that causes a segfault and you get to reinstall again. So run the stuff above first before doing anything else, on a brand new clean Ubuntu install and reboot before updating your software. BTW, you get to Terminal (command line where you can type these commands) by clicking on the top icon on the launch bar and then typing "terminal" into the search box and then clicking on the first icon that appears. That's 95% of what I know about the Unity GUI as thus far I have used it mostly to cause segfaults. Also, I have no answers for anyone having a similar problem! I found what worked for me by mistake. I am simply documenting it so when someone Googles for the appropriate terms, they will find this, as I'd have been quite happy to have found it yesterday. But I am the furthest thing from a Ubuntu guru that there is and don't understand the majority of what I've written here; I haven't even had a chance to play with the Unity desktop yet and don't even know where there's a text editor on this thing. But hey, it's up! And other than the problem above, it was easy. I installed with a second monitor attached, a USB mouse and keyboard, external speakers, and ethernet and all of that as well as the laptop keyboard and mouse, worked swimmingly out-of-the-box.